Dr. Carolyn Facteau is a Principal Consultant at Camden Delta Consulting. Her work focuses on helping organizations maximize talent capabilities to support business strategy, promote strategic organizational change, and meet business objectives in an increasingly competitive marketplace. She has a broad range of experiences in design and implementation of initiatives that support human capital strategy such as leadership assessment, coaching and development, competency modeling, talent assessment and development planning, performance management, and succession management, test development and validation, and selection and promotion process design. Carolyn has extensive experience in the development and implementation of competency frameworks that serve as a foundation for an organization’s talent management processes. Her approach focuses on developing a deep understanding of the organization, including its strategic imperatives, culture, and business challenges, and working with stakeholders and internal subject matter experts to create custom competency frameworks. 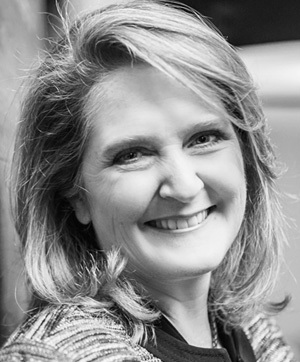 Once designed, Carolyn works with organizations to design new or enhance existing talent management processes, leveraging competencies to help organizations successfully align talent and business strategy and maximize talent capabilities. With over 25 years of leadership development experience, Carolyn has worked with leaders at all levels and across a wide range of industries and sectors. She has designed and implemented large-scale leadership development programs and worked with numerous leaders on an individual level as their executive coach. Carolyn’s coaching approach is focused on first helping leaders gain insight into the values, personality characteristics, abilities, and experiences they bring to a leadership role and then working with them to understand how to best apply strengths and address development needs to promote success and achieve their personal objectives. In addition to her consulting activities, Carolyn has authored or co-authored over 100 technical reports, served on expert panels at professional meetings, presented her research at national conferences and published in peer refereed journals. Carolyn is coauthor of a management book entitled, “The Challenge of Front-Line Management: Flattened Organizations in the New Economy.” She is a member of the Society for Industrial and Organizational Psychology. She holds a BA degree in Psychology from Auburn University and a Ph.D. in Industrial and Organizational Psychology from the University of Tennessee. Carolyn lives in Atlanta with her husband and their three children. Driving with four other families from Atlanta to Colorado non-stop for a ski trip.